I wrote my first CMPA Frequently Asked Questions page a while ago now, and since then I’ve noticed that there are some more questions and topics that come up a lot. 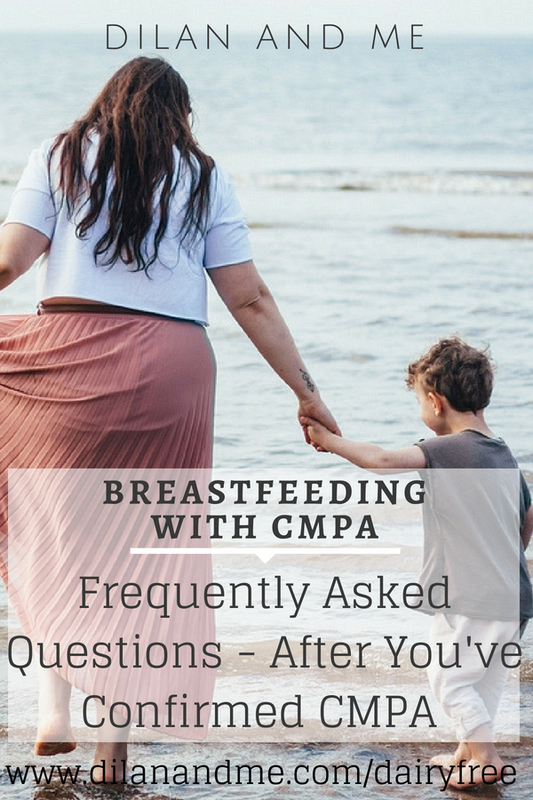 If you’ve just begun to consider CMPA make sure you check out the in the beginning frequently asked questions. Today I’m going to cover some of the questions you might have if you’re a little further along in your journey. Make sure you check out my other breastfeeding with CMPA resources too, including the dairy and soya free treat list and the new Breastfeeding with CMPA directory page which will take you to all of my posts. As always let me know if you have any feedback or questions in the comments, or send an email to dairyfree@dilanandme.com. I’ve Been Prescribed Medication That Contains Lactose, Is This Safe To Take? Medical grade lactose is highly refined, so all trace amounts of cow’s milk protein should have been removed. Therefore it is considered safe for CMPA and you’re fine to continue taking your medication. Equally if your little one is prescribed something with medical grade lactose it is safe for them to have. Food grade lactose however is different, please see below. For more information about breastfeeding and medications I would strongly recommend taking a look at the Breastfeeding Network Drugs Factsheets. My Little One Has Started Teething, Can I Use Teething Granules? Lots of the teething granules on the high street contain food grade lactose, which are not safe for children with CMPA due to the huge risk of cow’s milk protein contamination. This means that Nelson and Ashton & Parson teething granules should not be given to your little one. 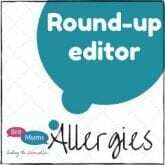 Alternatives include Bonjela teething gel, Nelson teething gel and Weleda Granules. You may also want to consider amber teething jewellery – the evidence for these working is hard to find but anecdotally they’ve worked well for many people, myself included. Even if it is a placebo effect – who cares if it works! Make sure you get yours from a reputable stockist, I recommend Love Amber X.
I’ve Heard That Probiotics Might Help, Is This True? Which Ones? Probiotics are often recommended for CMPA babies, particularly though who have suffered with gastro symptoms and have suspected gut damage. Good gut health is thought to be important for many, many reasons and improving your babies could help ease their symptoms, boost their immune system and much more. Breast milk does supply children with probiotics but you may wish to supplement further directly, and you could take them yourself also. I have previously asked our dietitian (who I really do trust) about probiotics and her opinion was that their benefits haven’t really been proven, but that they won’t do any harm. She recommended BioGaia which are available on Amazon. This one is really a personal choice and I would advise researching the topic and making an informed decision. My Breastfeeding Supplements Have Soya in! Where Can I Get Some Safe Ones? Pregnacare Breastfeeding Supplements contain soya. This catches plenty of people out, no matter how many times I say to check everything you put into your mouth. Don’t worry though, there are soya free options. Check out Boots own brand version, Tesco own, and Cytoplan. More Supplements… Should I Be Taking Calcium? Iodine? Vitamin D?? It’s up to you to assess you diet and determine whether or not you need to be supplementing your vitamin intake. As a breastfeeding mother you do need extra calcium, and if you’ve cut out most of your usual calcium sources you may find you need to get a supplement. Read more about vitamin information for dairy free mums. I’m Returning to Work Soon, Do I Have To Express? The simple answer here is no, not if you don’t want to. Once you return to work you have plenty of options when it comes to feeding your little one. You could send your child to their care giver with expressed breast milk, or you could introduce a dairy free formula (note: these don’t taste very nice, and you may find your previously exclusively breastfed baby isn’t too keen). Presumably though baby will be over 6 months old once you return to work and you will have begun to introduce complimentary solid foods, so the simplest and most common option to take is to have their caregiver offer food and water whilst you are apart. You will find that they will most likely end up breast feeding more when you are reunited (often during the night which is called reverse cycling) and they will end up getting everything they need from you during this time. While you’re at work you may want to express purely for your comfort, but bear in mind that doing that means your breasts will continue to produce that feed. If you don’t express your breasts should recognise that it can ease production for that period of time and you should feel more comfortable. Some mothers ask about giving an alternative milk while baby is away. This is a personal call I guess. NICE guidelines very clearly state that alternative milks should not be used as a drink for children under 2, and looking at the dairy free milks comparison chart you can see why. I would mainly be concerned that your little one would end up getting very full of the lower cal, lower nutrient alternative milk and wouldn’t therefore feed enough when you are back together. If you’re happy with your little ones weight gain, they have a mixed and healthy diet, and your dietitian is happy for you to do so then you could give an alternative milk drink while you’re at work. 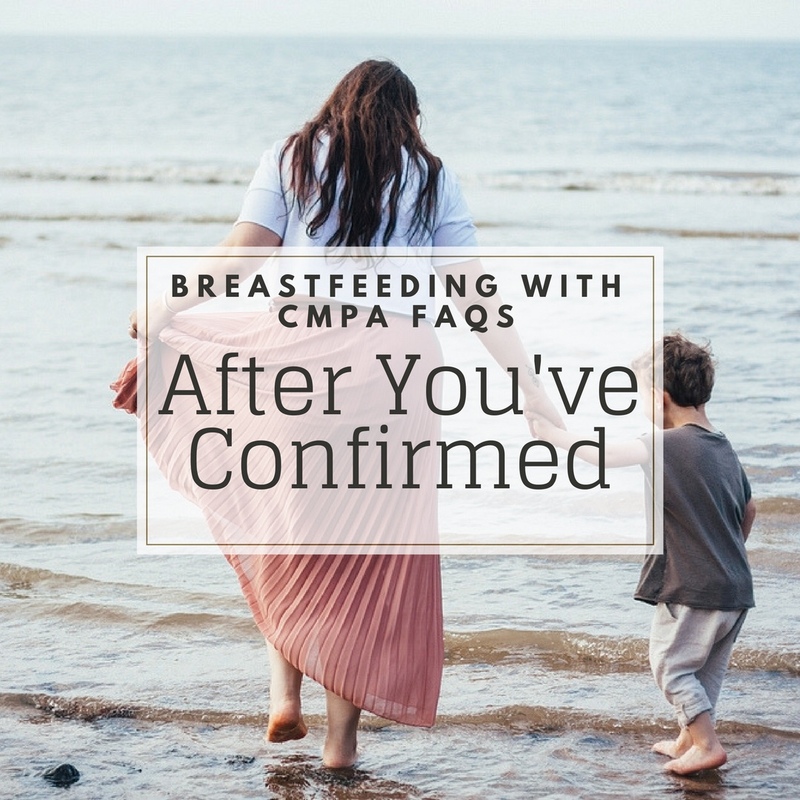 From here head back to the Breastfeeding With CMPA Directory to find some more helpful links and resources, or back to the CMPA FAQ section to get some more answers..